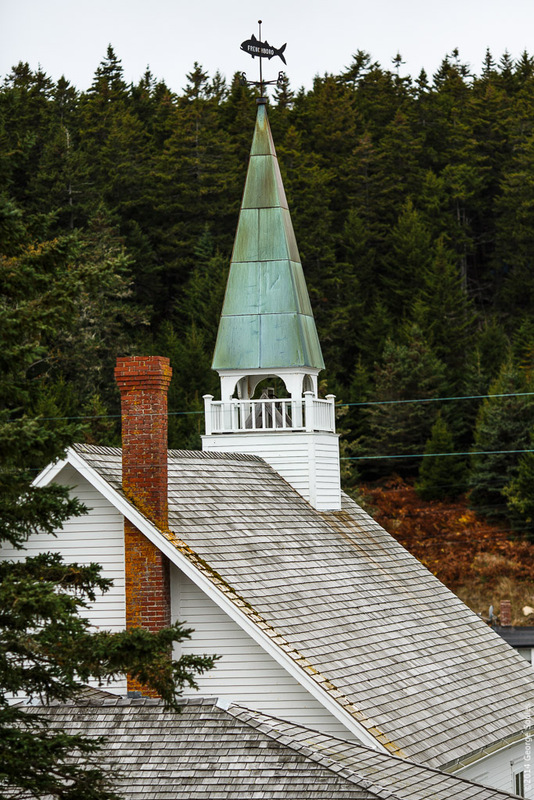 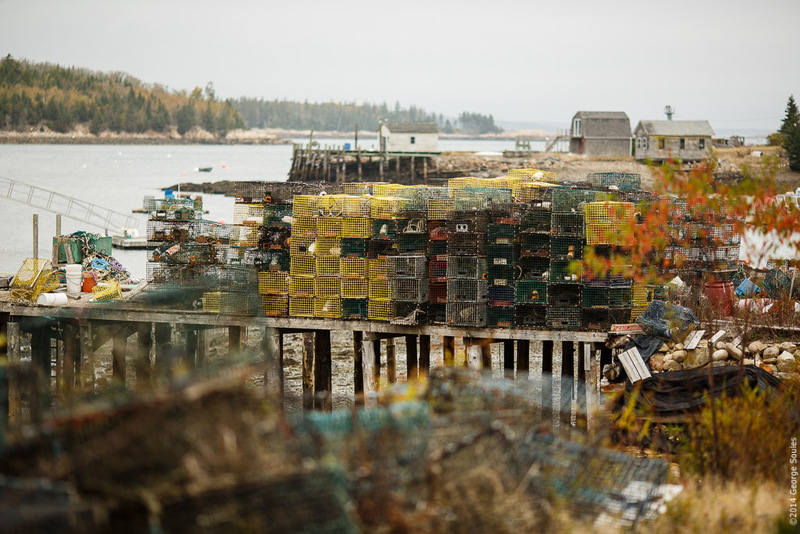 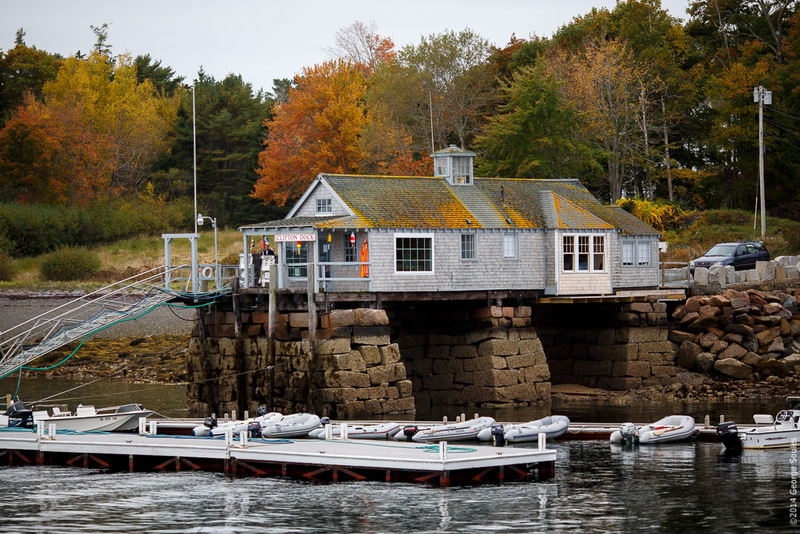 The tiny village of Frenchboro is located on Long Island, eight miles southeast of Bass Harbor, Maine. 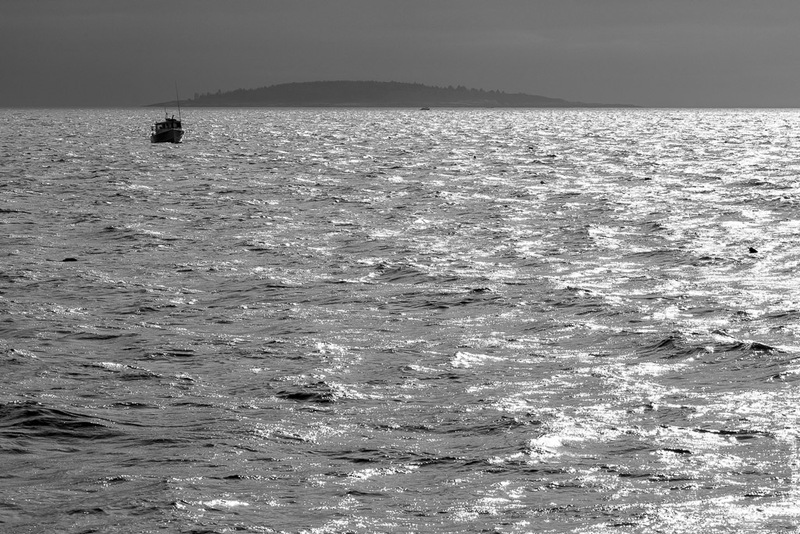 The 2,500 acre island is just two miles long by a mile and a half across at its widest point. 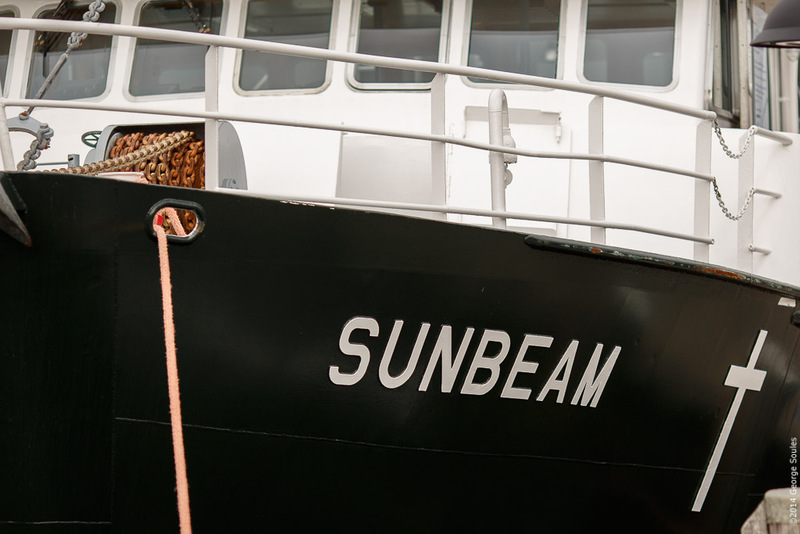 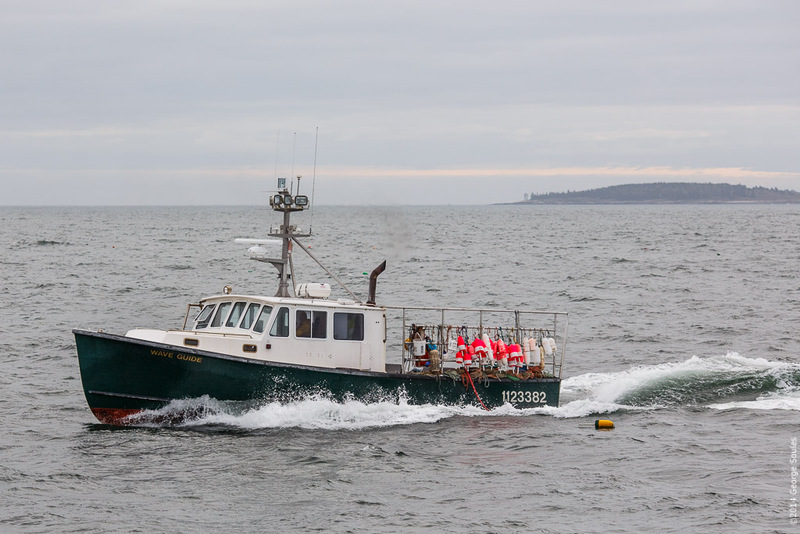 Today I traveled to Frenchboro on the Sunbeam V, a 75 foot vessel operated by the Maine Sea Coast Mission. 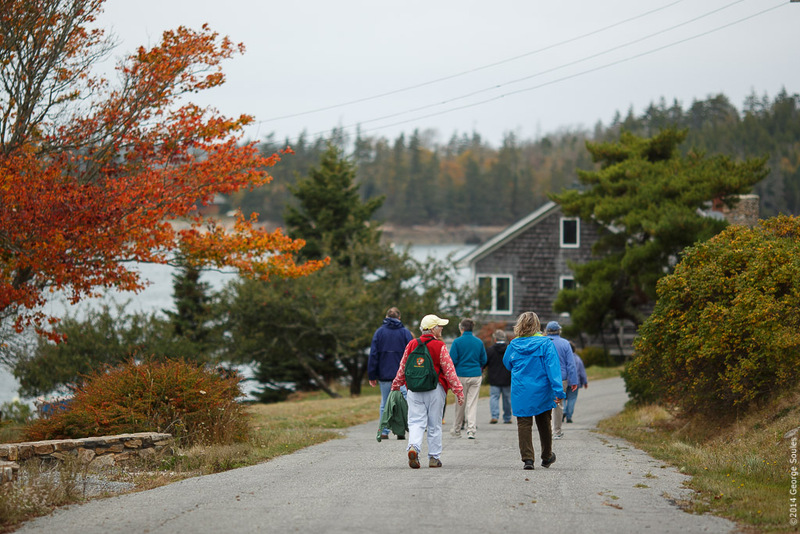 The journey was a field trip for an Acadia Senior College class I have been taking called Wish To Be At Home: Downeast Maine. 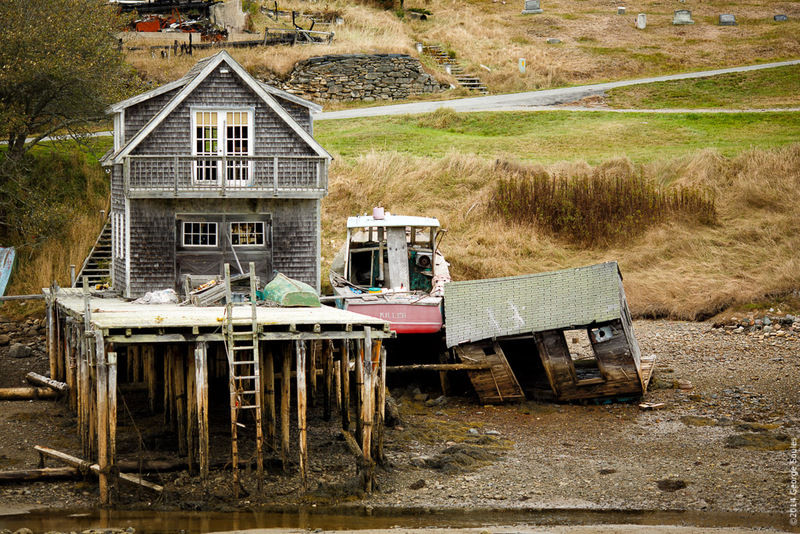 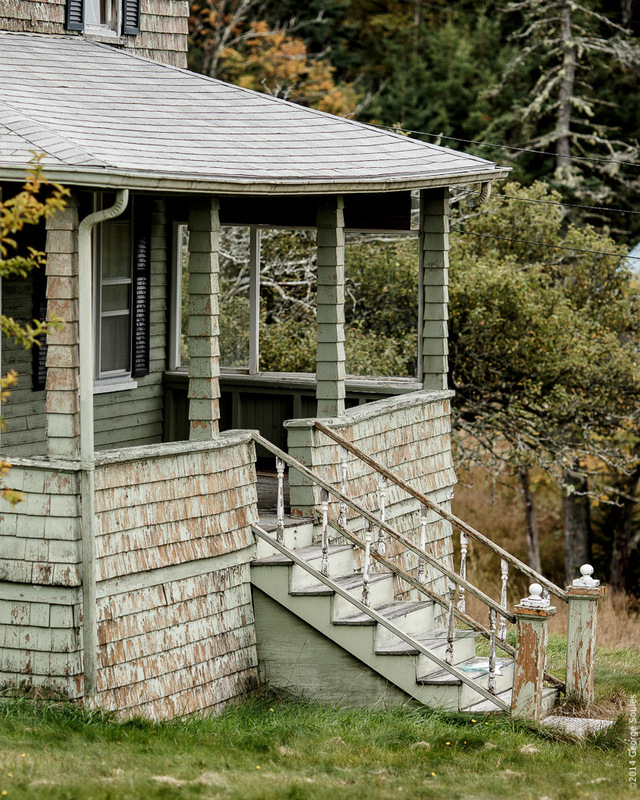 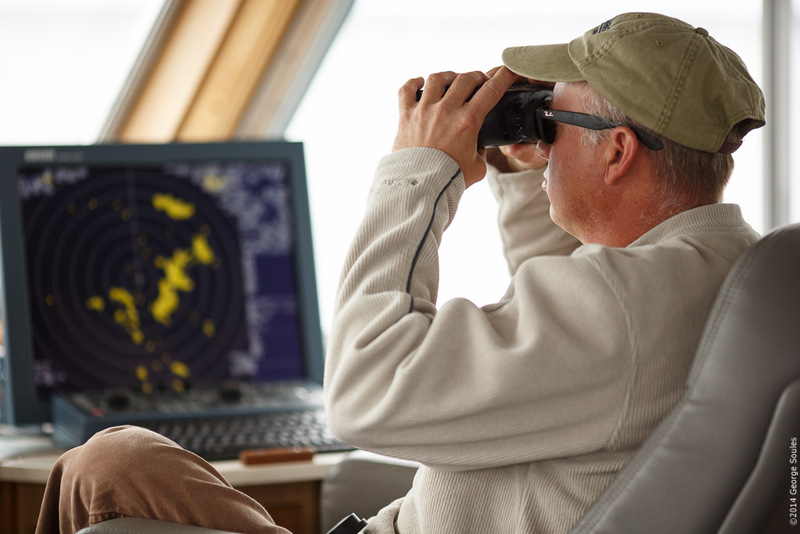 Taught by Mission president Scott Planting, the course gives students an insider's view of life in coastal communities of Hancock and Washington County and the outer islands. 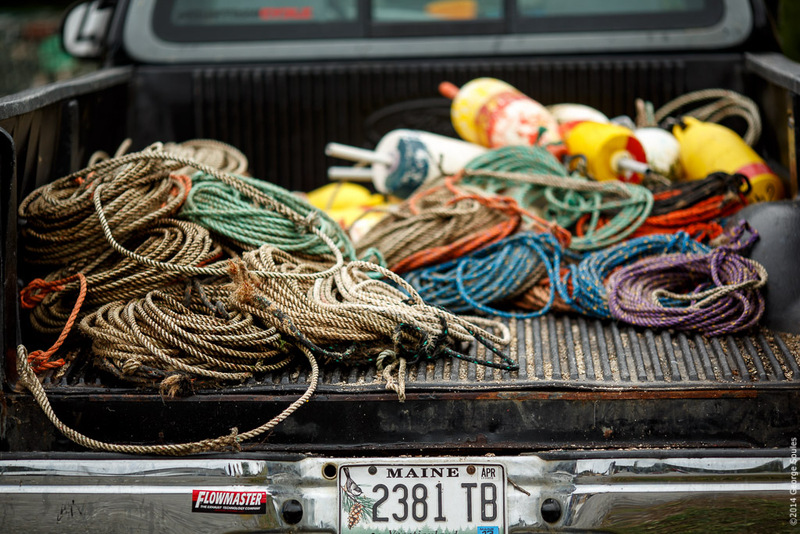 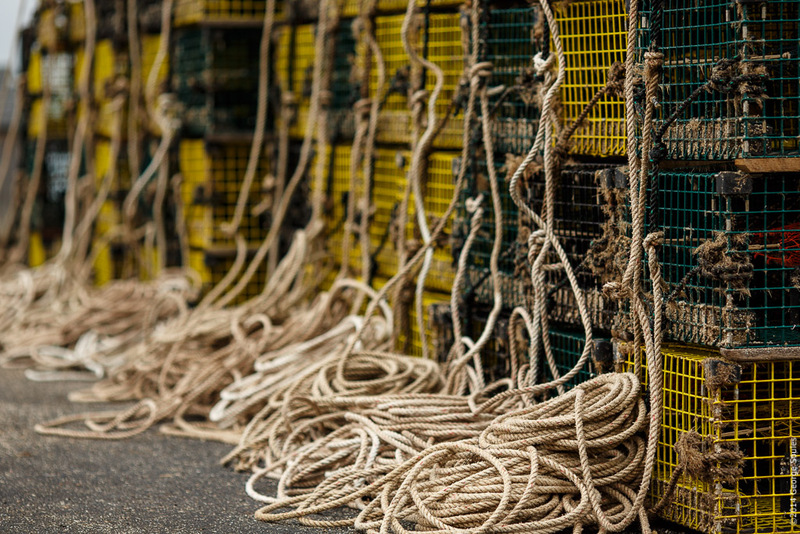 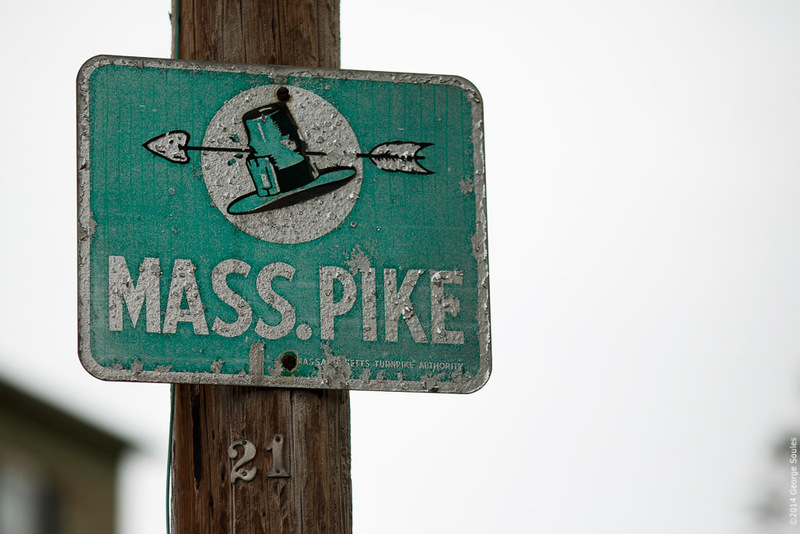 We visited Frenchboro to experience the island firsthand and meet some of its year-round and seasonal residents. 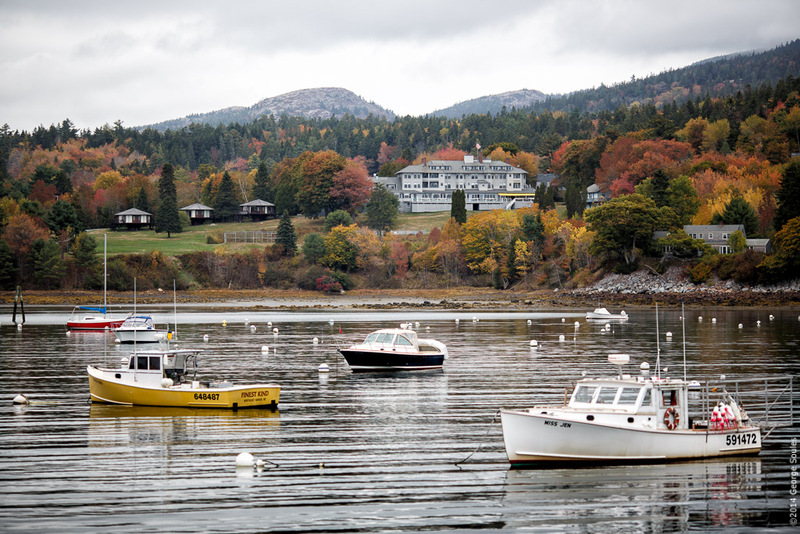 We departed from Northeast Harbor where the fall colors were spectacular. 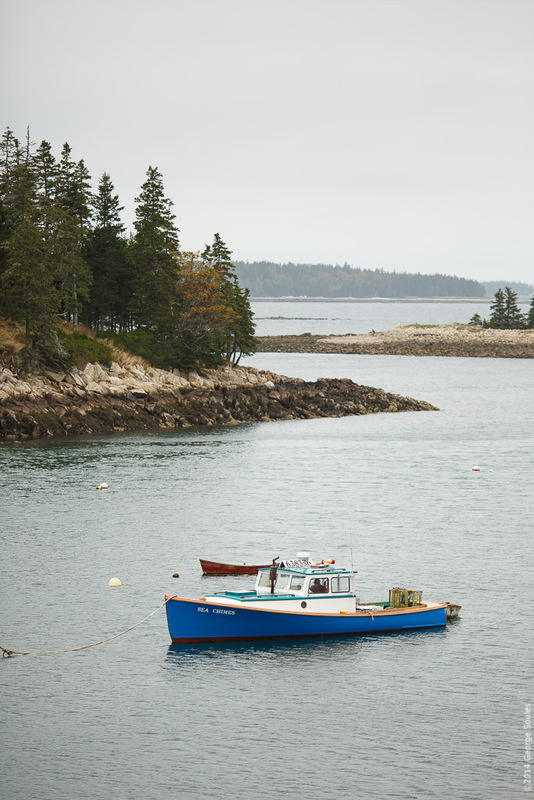 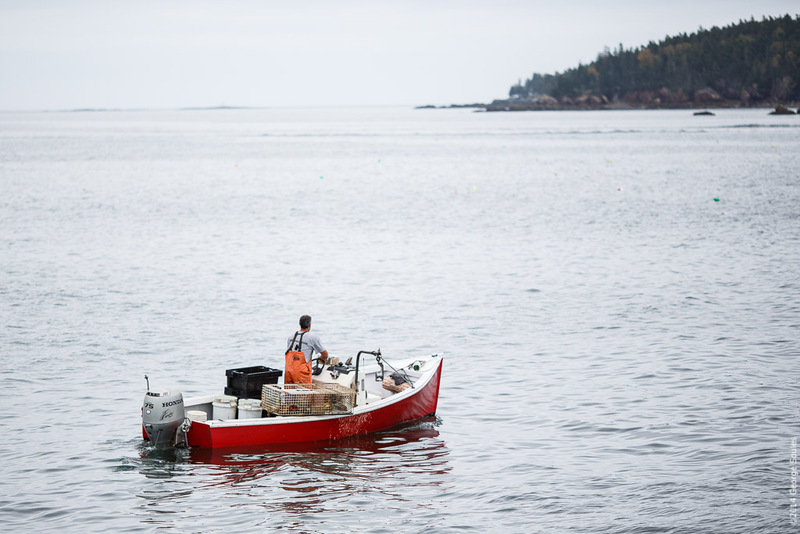 Along the way we saw views of Mount Desert Island and working boats at sea. 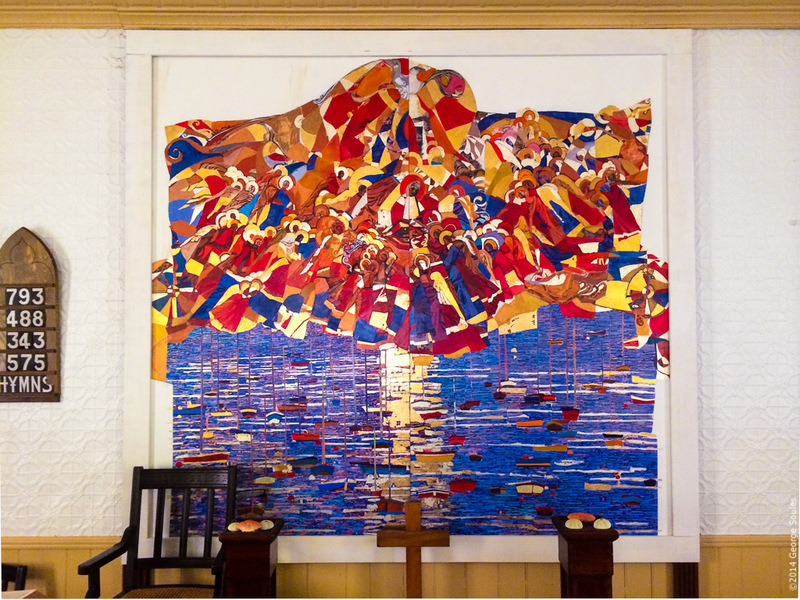 After entering Lunt Harbor and docking next to the ferry terminal, we walked around the village where we visited the library, elementary school, and the church with its magnificent mural painted by the Russian artist Daud Akhriev. 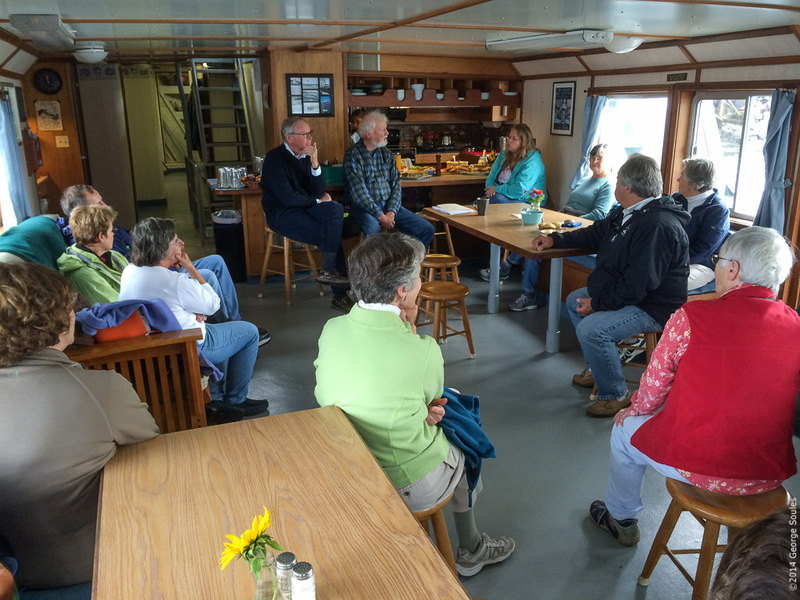 Back on the Sunbeam we enjoyed a delicious lunch and hearty conversation with members of the Frenchboro community. 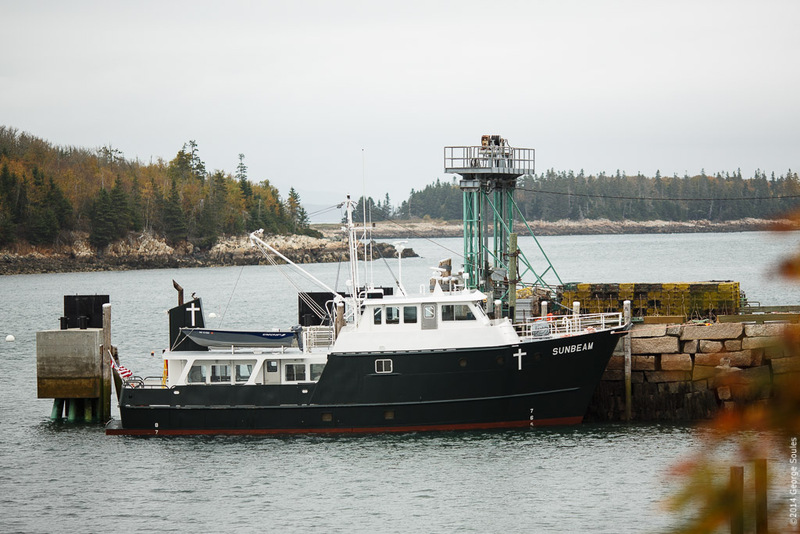 Many thanks to the Maine Sea Coast Mission for this very special and memorable day.